From Typewriters to Drones in 60 years. How a lease finance company evolved and survived. 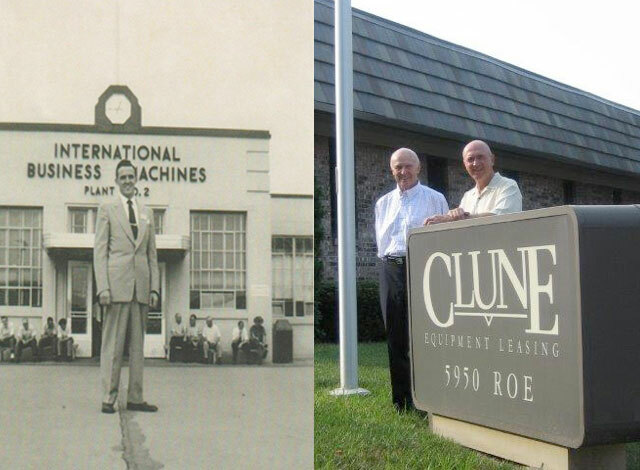 When Bob Clune started Clune Equipment Leasing in 1957 to finance IBM Typewriters for his customers, he could not have envisioned the array of equipment that his company would finance 60 years later. The portfolio now includes cutting edge IT networks & systems, multi-function printers/copiers, medical diagnostic equipment, agricultural products, and yes, drones that are used by surveyors…but no typewriters. Bob’s son, Kevin F. Clune, has been Chairman of Clune & Company LC (www.clune.net) since the elder Clune’s retirement in 1991. Based in the Kansas City metropolitan area, it may be the oldest leasing business in America that has been under continuous family ownership. As an independent lessor, Clune has expanded from serving a regional area to now working directly with both equipment vendors and leasing customers across the country. The 60 year old company has maintained their unique business model in which they oversee credit decisions “in house” and maintain and service their own portfolio. Customers can always contact Clune with any questions about the terms of their lease contracts and will get a quick response and a straight answer. Some banks, equipment manufacturers, and even equipment vendors have established their own lease finance divisions. However, their extra fees and end of lease contract terms may differ dramatically from the typical Clune Lease. Clune & Company has differentiated itself from competitors with their flexible and straightforward lease finance products, without any “gotchas”, and business practices that ensure long term relationships. They can credit their many loyal customers to their adaptability and resilience over the past 60 years. Congratulations on this remarkable milestone.